In Windows Java will sometimes install an up-to-date version but fail to remove an older, out-of-date version. This can cause Java to misbehave, which for My Docs Online means the Desktop App won’t launch properly. 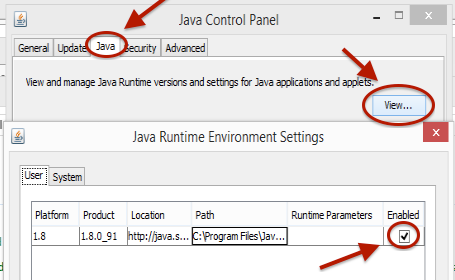 A quick and easy fix is to disable all but the latest version of Java using the Java Control Panel. A list of installed versions will be displayed. There should only be one, as in the illustration. If there is more than one just uncheck the older version and “OK”.